ACO StepDrain is a high quality unobtrusive level threshold drainage system, fitted with a stainless steel Heelguard grating. The system is compliant with Part M of the Building Regulations for England and Wales and section 4 of the Scottish Building Standards. 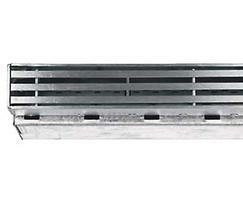 The standard channel assembly consists of a slimline galvanised steel channel and stainless steel grating. 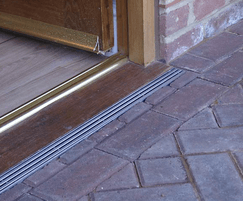 It is available in two channel lengths, 940mm and 1088mm, to provide a threshold drainage solution for almost any door size. 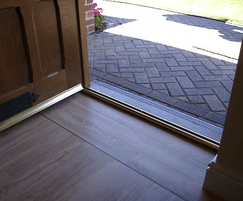 Installation is quick and easy, ACO StepDrain simply slots in front of the door below the threshold. No cutting of the door frame is required, and the front outlet can be arranged to open directly into a single soakaway. silt traps to be emptied. 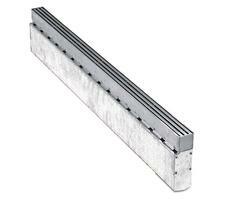 ACO StepDrain can be used with any choice of paviour up to 100mm deep. 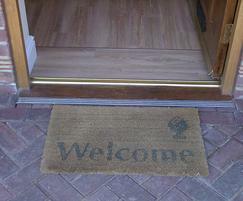 It is also available in two sizes (940 and 1088mm) for almost any door size. Robust galvanised and stainless steel construction. No modifications required to door frame. Rapid installation - no plumbing required. Compatible with any choice of paviour. Highly resistant to onsite breakages.